My monthly favourite's are here again! 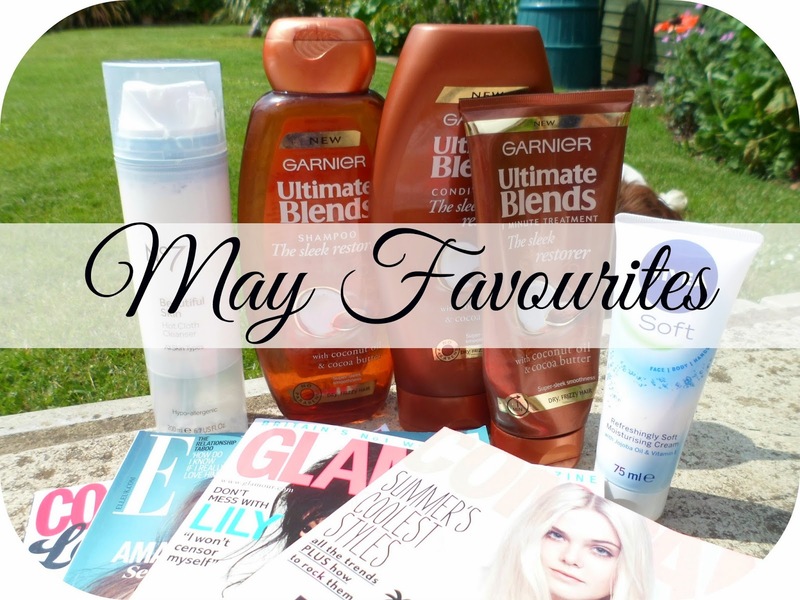 It's my second May favourites - can you believe it? It feels like yesterday I was writing all about my loves for May 2013 and here we are 1 year later and I'm sat here doing exactly the same thing! If you have't heard of the new ultimate blends range from Garnier - then you've probably been chilling on the moon or something because I'm sure everyone more or less everyone have been trying them out! I picked up the shampoo and conditioner for 2 reasons - 1. they were half price and 2. they smell amazing! I am all about smells and if I think something smells good - I will buy it. These products were working so well on my hair that I picked up the 1 minute treatment aswell! They leave my hair looking smoother and smelling amazing - plus they were a bargain! I've gone through a bottle of each now so it's time to invest in some more - I may try out some of the different collections too! Yes... I may have gone a little overboard with mags this month - 4 is definitely a bit unnecessary .... but there were so many great freebies I couldn't say no! 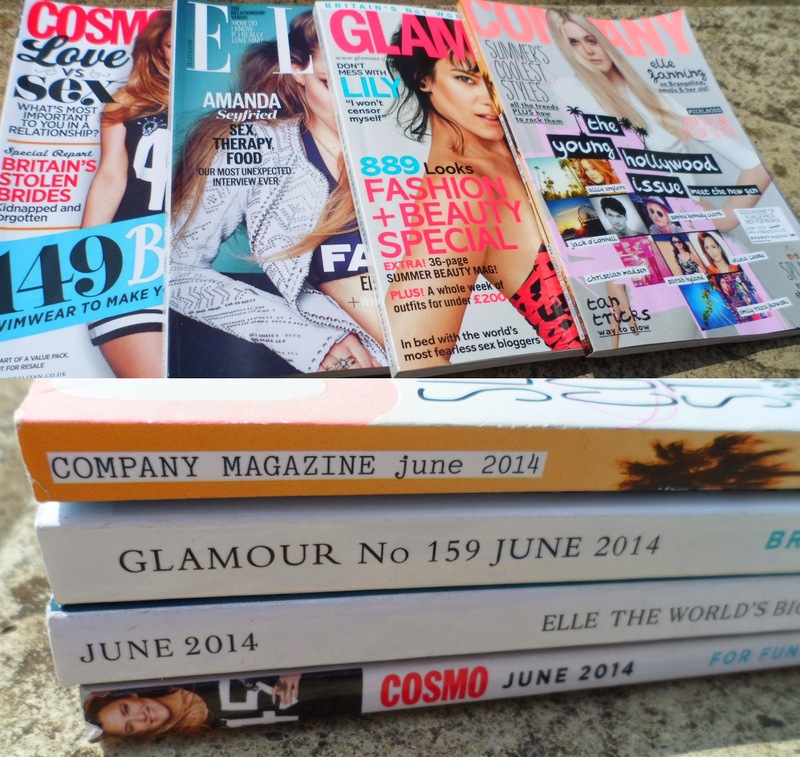 I love being able to sit down at home or at work and flick through a good mag and these this month have been amazing! Not only did I get some great free gifts including Benefit's porefessional, but there were lots of a great articles, lots of looks I want to steal and lots of clothes I need to buy! After running out of my Liz Earle Cleanse & Polish (one of my holy grail products) this month and being a bit strapped for cash I decided to give this baby a go. I've had this sat around for a while - I bought it with a No7 voucher a couple of months ago because it bought it down to half the usual price (barry bargain) - and thought now was a good a time as ever to give it a whirl! 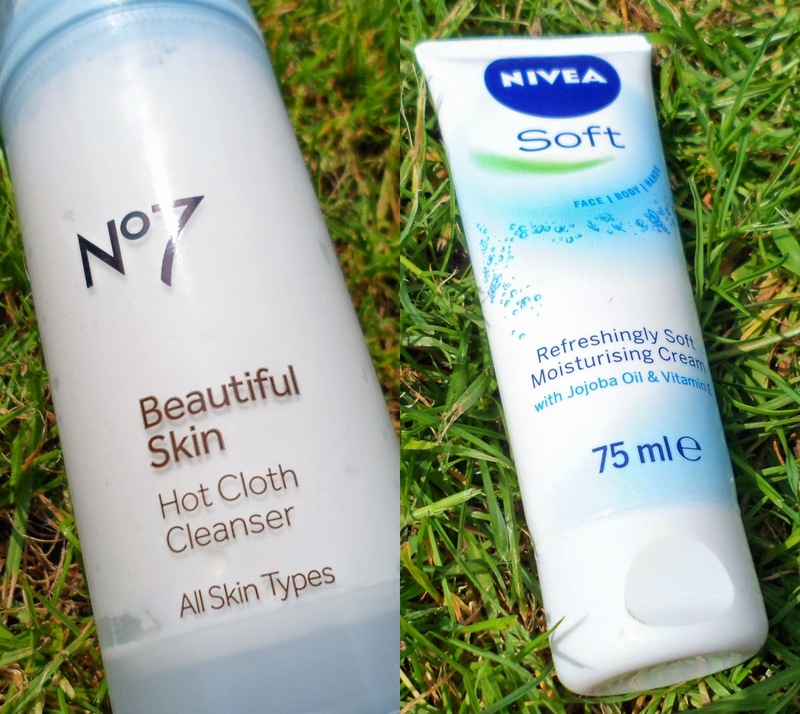 I wasn't expecting it to be as good as my beloved cleanse and polish but this stuff gave me a pleasant surprise! It took off my make-up just as well as my C&P, felt light and creamy and have a nice smell about it. The only thing that wasn't great was the muslin cloth along side it - it wasn't as soft and gentle as the nice Liz Earle ones but still worked a charm! I have been using this every night now and still have so much of the 200ml product left - it is definitely going to last a good while! This product has been a god send to me. I use it daily and have rambled on about it for the past year! I normally buy a big tub of this stuff but that isn't always that handy ..... so hello to this cute little 75ml tube! This is perfect for my handbag and keeping next to my bedside table! I use this every night before I go to sleep and it works so well for my skin! I've tried so many night creams recently and they all seem to bring me out in spots (which is not like my skin at all) I love the scent and can't imagine anything taking this stuff's place anytime soon! Superdrug have these at half price at the moment too so they are only £1.24!! Jesus, I had been waiting for this album for what seemed like forever! About a year ago I first heard Iggy's song 'Work' - and since then I have been praising and bowing down to this woman! This album has been on repeat this whole month and I love love love it! Favourite songs have to be Work, Black Widow, F*** Love & Fancy. AND obviously I am obsessed with Problem by Ariana Grande & Iggy - two of my favourite artists ever - best song of the year! I love Iggy. She is such an inspiration to me! Definitely agree with Iggy, she's a new obsession of mine!